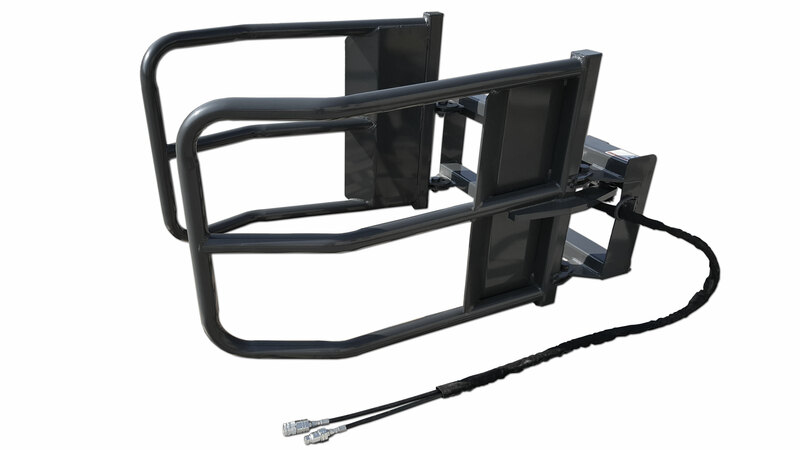 Easily grab and transport round bales with our Heavy Duty Skid Steer Hay Bale Squeezer. You can pick up wrapped or unwrapped hay bales sitting flat or on their side. The tubular design allows wrapped bales to be transported without tearing or puncturing the plastic, which is very critical in not ruining the hay or straw from water damage. The single cylinder design allows this attachment to be very economical and is a great alternative to the hay spear. This hay bale squeeze is just right for the small farmers who need to stack hay bales in small barns and rely on feeding small herds of live stock. The CID Heavy Duty Skid Steer Bale Squeezer accommodates 48″ to 72″ round bales, wrapped or unwrapped. It is recommended for 65 hp and under. Our Heavy Duty Skid Steer Hay Bale Squeezer are for people who might be on a tight budget and or doesn’t really move a lot of hay bales through the year to justify needing our X-treme Skid Steer Hay Bale Squeezer. Pick up bales sitting flat or on their side. Use on skid steers or tractors. 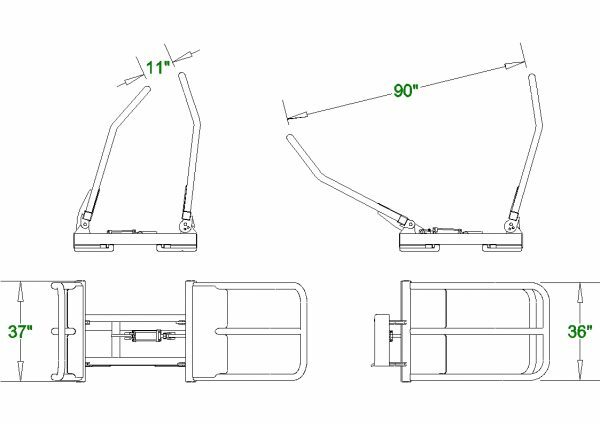 Universal quick attach or tractor hook ups.